Cook up burgers and omelets on your quest for the mythical Great Sauce. 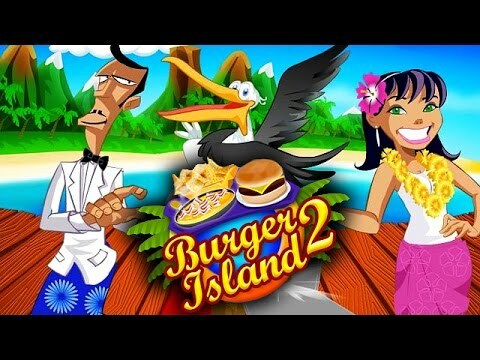 "Burger Island 2: The Missing Ingredient is a very fun and entertaining Time Management game. It's even more challenging than the original Burger Island." When a suspicious new burger franchise starts stealing Beach Burger's business, Patty Melton and her irritable sidekick Pierre expand their menu, only to find the island's resident recipe guru, the Tiki Guy, has gone missing. The hunt for the Tiki Guy begins as Patty and Pierre attempt to rebuild their business, cook up all new recipes, track down new ingredients, and create the mythical Great Sauce.